Mionix will not be forgotten this year at CES 2014. This year, they are bringing something new to their repertoire. While this is not the first time they have offered Gaming Headsets, the new NASH 20 is their only current offering in this category, so there is a lot of weight for this product to shoulder. At least for now. The Mionix NASH 20 is designed to be the best gaming headset you can buy. All this starts from the extra-large 50 mm DACT drivers housed in the omnidirectional swivel circumaural cups. This ensures that the drivers are always in the optimal position for the best possible stereo sound stage. For long-term comfort, the cups are covered with a memory foam and (real?) leather covers. Everything about this headset is premium, from the materials, to the design choices. One interesting trivia tidbit is that all the products are named after stars and constellations. For example, NASH, which is the third largest star in the Sagittarius zodiac constellation, is where this product gets its name. You can have a pair of the Mionix NASH 20s delivered to your doorstep by March if you pre-order now for an MSRP of $129.99 US. In the mean time, check out the promo video below, and then the full press release below that. 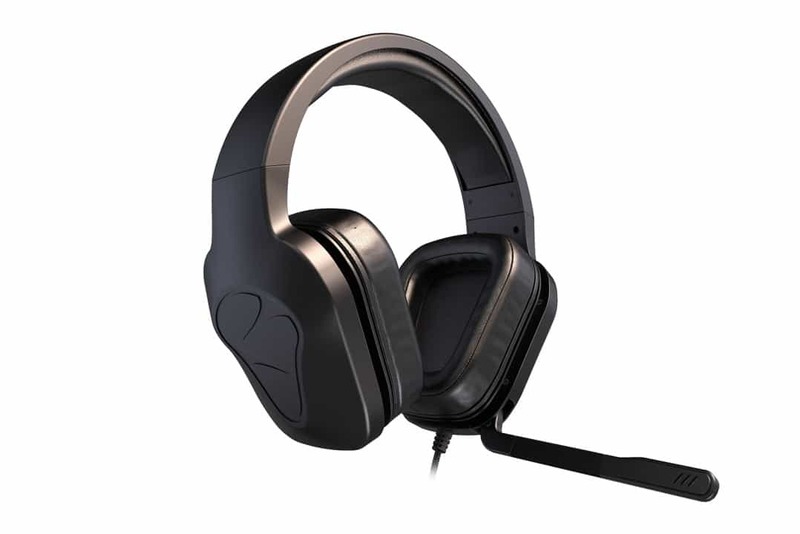 January 7th, 2014 – Mionix, the Swedish manufacturer of professional high-end gaming accessories today unveiled the new NASH 20 analog stereo gaming headset. “In building the NASH 20 we wanted to create perfect combination of design comfort and sound and we are very confident that we have achieved this” says Peter Nygren, CEO at Mionix. The NASH is named after the third largest star in the Sagittarius zodiac constellation. The meaning of NASH, according to Arabic mythology is an Arrowhead, which is a suitable name for a top class gaming headset with superior precision and sharp sound. The NASH 20 is circumaural analog stereo gaming headset, engineered with our three most important values: Design, Sound and Comfort. The fully adjustable ear cups and memory foam cushions are made for long comfortable gaming sessions. The flip-up-to-mute microphone and on-ear cup volume control allows you simply access the mute or volume functions. The clean Scandinavian design of the NASH 20 incorporates fluid lines and a fuss free impression. The headset is coated with a 4-layer rubber coating that gives a soft touch feel. The on ear cup volume control and flip-up-to-mute microphone boom allowed us to keep the cable free from switches and boxes. Our own developed DACT drivers reproduce sound to the highest audiophile standard. The semi closed back acoustic chamber design is engineered to provide air to the drivers to optimize the sound. The sound reproduction is optimized for both the lower, mid and high frequencies. Due to the high-lighted soundscape you will get the advantage of more accurate and quicker positioning when playing games. Equipped with an adjustable headband and omni-directional swivel inner ear cups together with smooth and comfortable memory foam leather encased cushions the NASH 20 will still be comfortable to use even for the longest using seasons.